Sandstone Mining at Rock Run. As early as 1814, large blue-gray sandstone was mined from the Rock Run Region. Each of the multiple sandstone beds were interspersed with beds of shale, the sandstone layers usually under 16 inches in height. 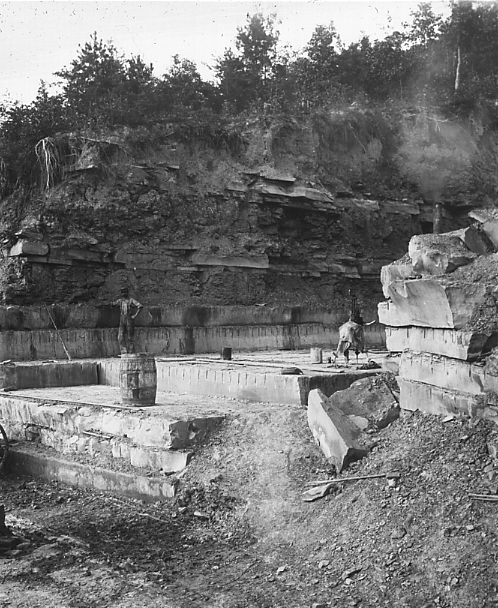 The sandstone was split, wedged off in large regular blocks, and then loaded on Ohio River barges and shipped downstream to Cincinnati and other metropolitan ports. The Queen City inspired the name of the sandstone as City Ledge and it was considered by many to be the best quality sandstone in the entire Eastern United States. 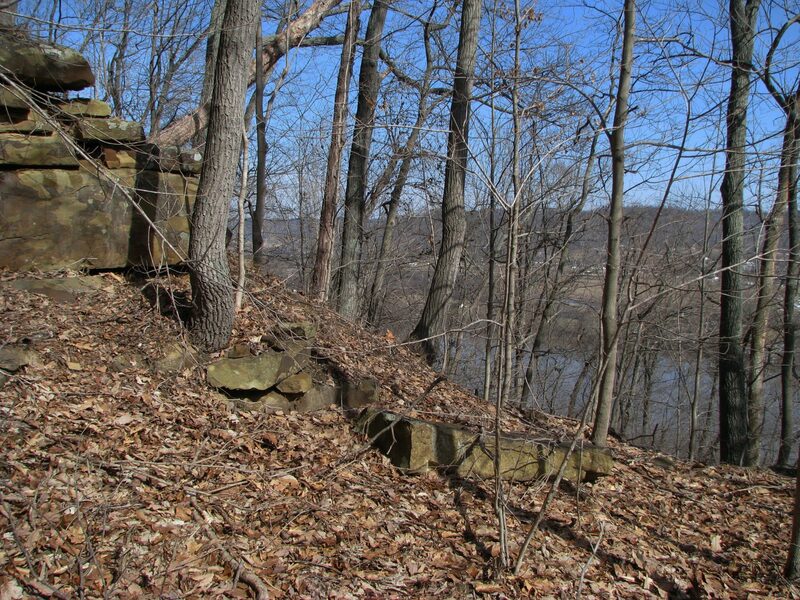 Like most of the hills in western Scioto and eastern Adams Counties, the steep slopes of Rock Run had exposed layers of City Ledge half way up its flanks. And, just like in nearly every watershed in the region, stonecutters drove their horse and oxen teams up the creek-bed of Rock Run, and cut roads up the nearly vertical slopes to get to the stone. They cut out the City Ledge sandstone as far into the hill as they could before the overburden of the higher bedrocks impeded further progress. Hanging beds of leveled ground circled the hills, which over time became upland wetlands. Today these wetlands shelter many amphibians, common and rare. Transition to Timber. By 1907 the stone business along the lower Scioto came to an end, replaced by the cement and brick industries, the latter needing steady supplies of clay. 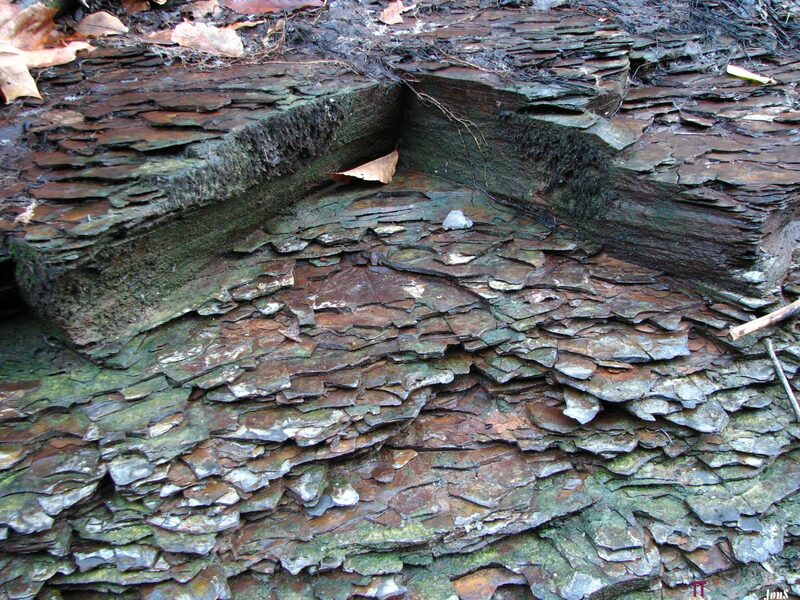 By 1920 the rights to the shale beds which formed the base of Rock Run which are often associated with clay deposits in the region were sold to a business entrepreneur. This time, the mining never happened. The trees, however, were timbered several times over the 20th century, most recently in the late 1990’s. The Arc of Appalachia purchased the first 184 acres of what is now the Rock Run Preserve in 2004. The area is now well on its way to returning to mature forest.